Jaak Online Casino is brand new to the iGaming world, and it’s already knocked our socks off. In fact, we’re going to go as far as to say that this new kid really made 2018 stand out for us thanks to its exceptional website, secure banking, memorable games and professional yet charming customer support. The team behind Jaak Casino has had a huge amount if iGaming industry experience and this certainly shines through at the site. Overall, the site is modern, yet has kept a familiar type of look and feel, so you’re not going to feel flustered or confused when it comes to usability. What’s more, Jaak Casino has successfully managed to employ a new design and technology without things becoming overwhelming for players. This online casino has everything you could possibly need. There’s a main game menu right at the top corner of your screen and a main site menu just under that. These menus help to quickly direct you wherever you need to go for an awesome gaming experience. What’s more, it’s the perfect way of making sure you don’t waste time trying to find your favourite games. Both the login and open account tabs can be found in the top right corner, and there’s also the option to initiate live chat. Then, there’s the main banner that welcomes you to Jaak Casino. There’s yet another games menu that offers are more in-depth look at the wide assortment of games on offer, and the main section of this casino’s home page if filled to the brim with the default category, Featured Games. Jaak Casino is owned and managed by a group called Tau Marketing Services Limited, a company that is registered in the UK. The games on the site are powered by Aspire Global International Limited, a group registered in Malta. They also hold a license from the Alderney Gambling Control Commission and the UK Gambling Commission. Jaak online casino is protected by the best-in-class 128-bit SSL encryption technology to ensure player’s transactions and private data is always kept safe. The casino also belongs to the Responsible Gambling movement and that means that the team behind it is well equipped to help players when they need it. As for gaming selection, you can look forward to hundreds of games from leading software provides, like NextGen and NetEnt, amongst many others. All that is well and good, but let’s take a more in-depth look at what Jaak Casino has to offer experienced and new players alike. If you’re a big fan of online casino welcome bonuses, brace yourself. This is one area where Jaak Casino falls very short at the moment. At the moment, the welcome bonus is this: deposit just $/€10 and get another$/€10 and 10 free spins to spend on Starburst. That’s it. There’s one thing we do like, though, and that is that the wagering requirement for the welcome bonus is just 35x. The bonuses at Jaak Casino use the standard bonus structure which means funds are locked form the money of your deposit until you can meet all the wagering requirements with both the bonus and deposited funds contributing to that playthrough requirement. The online casino also has a rewards programme that it has integrated into its VIP programme. As you continue playing your favourite casino games at Jaak Casino, you build up points. In turn, these points qualify you for the different VIP tiers. Everybody who signs up at the casino is automatically assigned to the first tier, logically called New Member. As you progress, you can work your way up through the other 6 levels in the VIP programme, all of which come with exclusive perks, such as VIP live tournaments, additional bonuses, monthly cashbacks, personalised offers and so much more. Entry into the top two VIP tiers is by invitation only. For all players, convenience and safety when it comes to making financial transactions is a big factor when choosing an online casino. If this sounds like you, you’re going to love Jaak Casino. The casino supports a wide gamut of payment options for deposits and withdrawals, including everything from zero transaction fees to minimal transaction fees, and fast to slow payment methods. The minimum withdrawal amount at this online casino is $/€10 while the maximum withdrawal amount per month is $/€10,000. Credit and debit cards take around 3 to 5 business days to process and e-wallets take around 3 business days or sooner. The gaming selection at Jaack Casino is rich to say the least. There’s everything from table games and slot machines to scratch cards, live games and so much more. As always, the slots section is the most populated, and you’ll find all the popular titles from developers such as Playtech, NetEnt and Microgaming. As for table games, there’s everything from roulette and poker to baccarat, blackjack and several others. You will find an array of loved titles here, too, including Gonzo’s Quest, King Kong, Ninja Fruits, Ted and even new games such as BerryBURST Max, Great Rhino, Rise of Egypt and Romanov Riches. The scratch card section is very exciting, too, with over 20 titles to choose from, all offering plenty of chances to win some serious cash. While Jaak Casino is still very new, you can look forward to an array of competitions and tournaments. The casino is focuses on giving you what you want, which is why Jaak Casino understands just how important such events are. To keep track of the scheduled tournaments and other special competitions, be sure to login regularly and check out what’s on offer, along with the exclusive prizes up for grabs. At the time of our review, the casino was running a competition to win an Apple Watch or iPhone X! This online casino has a section especially for its Live Dealer games. Where there are just 9 tables at the moment, remember, it is early days. There has been guarantees that more exciting live dealer games will be added soon, so keep an eye out for those. At the moment, you can enjoy Dream Catcher, live roulette, live blackjack, live immersive roulette, live auto roulette, live French roulette, live roulette VIP, live baccarat squeeze and live blackjack VIP. New casino or not, Jaak Casino already has its very own mobile casino app that you can download for Android and iOS smartphones and tablets. While the game catalogue is somewhat smaller compared to the desktop version, everything works flawlessly. So, if you like to play your favourite online casino games on the go, or at least keep the action in your pocket for whenever you feel like playing, you can with the Jaak Casino mobile platform. Above all else, this online casino operator prioritises your safety and secure. They take things very seriously indeed when it comes to ensure your personal data and all your transactions are completely safe and secure. All your personal information is kept confidential and securely stores in the most secure ways with the help of first-class 128-bit SSL encryption security software. So, you can say goodbye to any worries you might have and focus on immersive, fun gaming with complete peace of mind that this online casino is protecting you the way it ought to. Jaak Casino carries licenses from the UK, Malta and Alderney commissions, which means fair, regulated and trustworthy gaming all the way. The games all use random number generators, too, to make sure all players have a fair chance of hitting those jackpots. Have you heard of “CARE?” It stands for “Customers Are Really Everything” and is exactly what Jaak Casino believes in and practices. The online casino operator proves this, too, by providing players with an exceptional support network where you can get hold of the customer care team seven days a week via the live chat option. There are also a couple of other contact methods, but before you give them a go, there is a thorough FAQ section worth checking out. Here, you’ll find answers to most your questions to do with banking, bonuses, passwords and the like. If you don’t come right, you can contact the customer support team by phone or email, too, any time of day, whenever you might need them. 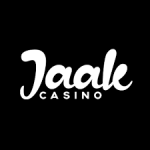 We found the customer support team at Jaak Casino highly responsive and they seem to make a point of responding to queries as a priority, no matter who you get in touch with them, and regardless of whether it’s via your desktop or mobile device. We spent a fair bit of time trialling Jaak Casino. It’s a brand-new operator and yes, there are some areas where it needs work – like the bonuses and promotions and especially in terms of the welcome bonus. What’s more, the payout speed needs to be improved, we think. The casino games section is pretty good for a new casino, but we’re sure it will continue to expand with time. On the whole, though, this is casino is worth checking out. If anything, it’s a change of gaming scenery!